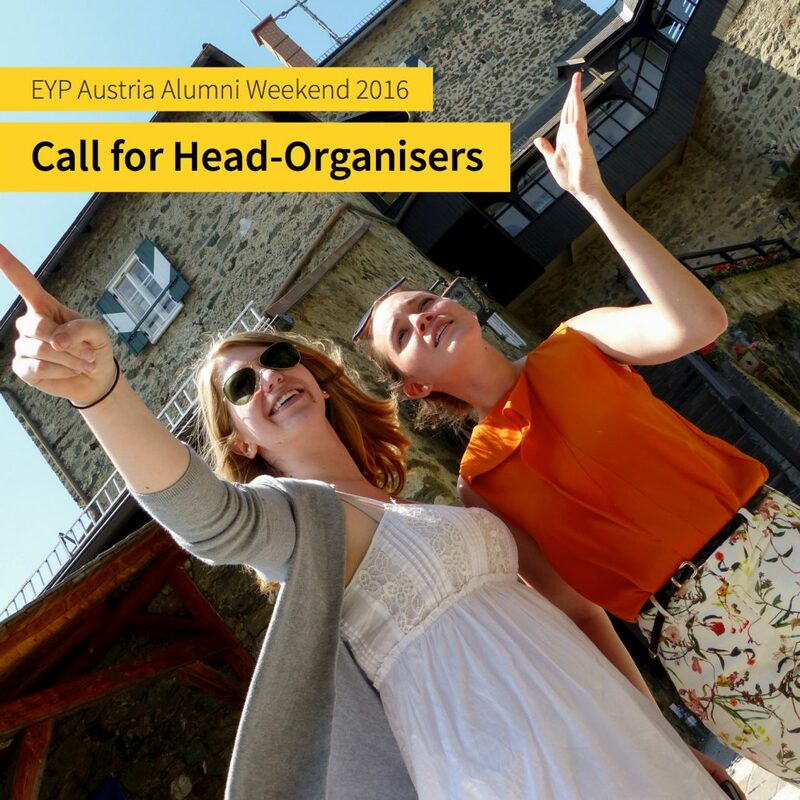 The Call for Head-Organisers for our Alumni Weekend 2016 has been extended until Wednesday, 13 April 2016, 23:59 CEST. With your application, we want to get to know you, understand your motivation to head-organise and get a grasp of your vision for EYP Austria’s Alumni Weekend 2016. To apply, please fill in the application form and submit your (joint) application to applications@eypaustria.org. Due to practical reasons, only applications submitted as PDF files will be considered. Late applications will not be accepted. For more information about the call, please refer to the Call Document.